Do you have any experience of this light dumbell method? Do you know if it was the way that Sandow, Attila etc built their physiques? Or was this just a marketing ploy of the time to make some money selling light wooden dumbells?! — Steve P.
Thanks for the question Steve. 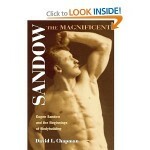 For those of you who don’t know, “Sandow” and Attila were famous strongmen from over a hundred years ago. There is a currently renewed interest in their training methods because these men managed to build impressive physiques long before steroids were invented. 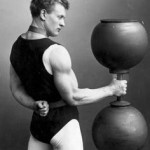 Just like Steve mentioned, I’ve seen plenty of claims that Sandow, Attila and other trainers of the classic age built their physiques using light weights. Anyway, I think the following information will shed some light on the situation. The following excerpt is from the book “Sandow The Magnificent: Eugen Sandow and the beginnings of bodybuilding” by David Chapman. 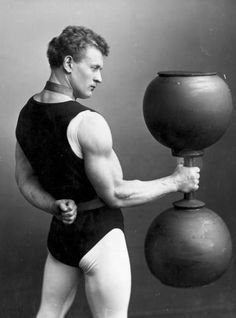 Professor Attila’s greatest contribution to Sandow and to weight training in general was his insistence on using heavy weights. This itself was flying in the face of popular wisdom. It was commonly believed that lifting weights heavier than 5 or 10 pounds eventually lead the athlete to a condition called muscle binding, in which the unfortunate victim became so muscular he could not move his limbs. Seems pretty cut and dried to me. Don’t get me wrong, I’m sure you can build a bit of muscle by using light weights and holding them in such a way as to maximize muscular tension. But at some point you need to increase the resistance and the simplest way to do that is to simply increase the weight. As an interesting side note, Attila was actually one of the first to use the shot-loaded barbell. This invention allowed trainers to slowly increase the weights they were training with by adding a bit of sand or shot to make the barbell heavier and heavier over time. So in my opinion, training with light weights might be a fun distraction. And if you make yourself lean (via diet) you can probably even build a lean and ripped physique with nothing more than a 5-pound dumbbell. But if you want to maximize size and strength, you will need to train with heavier and heavier resistance. Now, go grab this free report. That shot dumbell is wicked looking! It is possible to build size with a light 10 lbs dumbbell. All exercise is useful, BUT its the way you perform them that counts. Bobby Pandour allegedly only used light dumbells and was constantly tensing his muscles. The point seems to be that YOU must also tense your muscles HARD throughout an exercise (every exercise, even free hand squats) AND perform each rep SLOWLY while doing about 12 to 20 reps per set, work up to about 5-10 sets per bodypart over 4-5 weeks. Try it yourself (it’s all about self experimentation – what works best for you). It’s basically focused muscular tension, well proven to build a reasonable amount of mass. There are different approaches on that published today, men building impressive physiques even without any weights. It is funny how people believe in certain things and want everything to point to the correctness of that belief. One’s strength and muscle gain is limited via genetics. Sorry to bust everyone’s bubble. 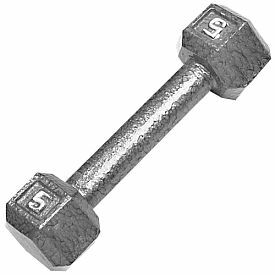 Whether you train with 10 lb dumbells or try to lift 1000 lb anvil. If you want to test the limits of your genetics, you need to put on huge amount of fat. For some this comes easy (and therefore they will not look really fat), for most of others they need to start looking like Sumo wrestlers in order to actually gain astonishing strength and muscles. Now coming to the 10lb vs 100lb. I don’t know how many people have actually seen bodybuilders work today. But MOST bodybuilders do prefer using light weights and high reps such that they feel burn and gain pump. EVERY damn bodybuilder even today (if you take personal coaching) will talk about feeling the weight, using mind muscle connection and BUILDING QUALITY MUSCLE. Ever known a powerlifter who turned to bodybuidling? Ask him what he changed in his workout philosophy. Yes, I have known many powerlifters who turned to bodybuilding. And yes, you are correct they all started using lighter weights. Instead of squatting 500 pounds, they would drop down to 225lbs and focus on feeling the weight. However, I have never known any powerlifter turned bodybuilder who trains with nothing more than a 5-pound dumbbell. The load is still important.